The tradition of kids — and even whole families — wearing matching holiday jammies seems to be growing. Amy and Kevin Wilson began giving their three sons matching pajamas just before Christmas for a reason: They wanted their little ones to get excited about going to bed so that they, the adults, could get ready for Christmas morning. 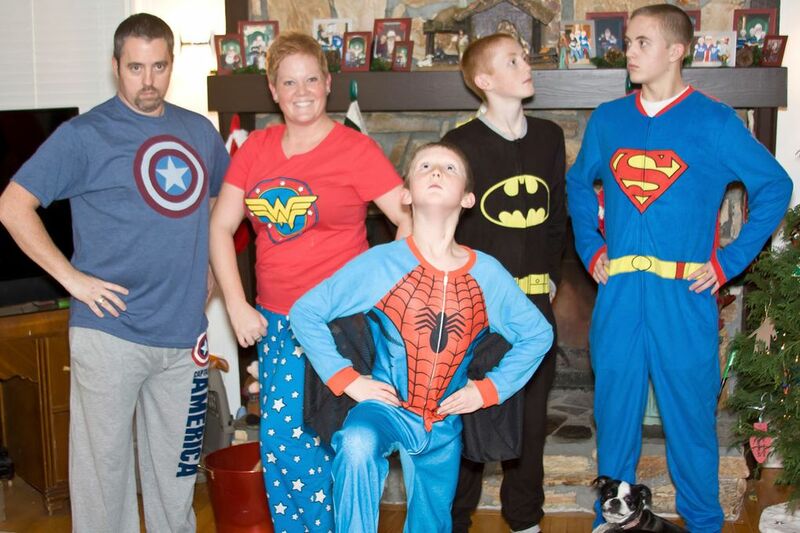 Now, more than 15 years later, the pajamas have become a cherished family tradition, albeit a silly one. The Wilson boys — Jack, 20; Owen, 17; and Sam, 13 — have even pledged to continue the custom with their own families when they are older. Wilson has watched matching holiday garb become a trend thanks to social media. Photos posted on Facebook and Instagram show a huge variety of styles and patterns. In addition to traditional pajamas, Wilson has given her kids Star Wars and animal-themed sleepers. 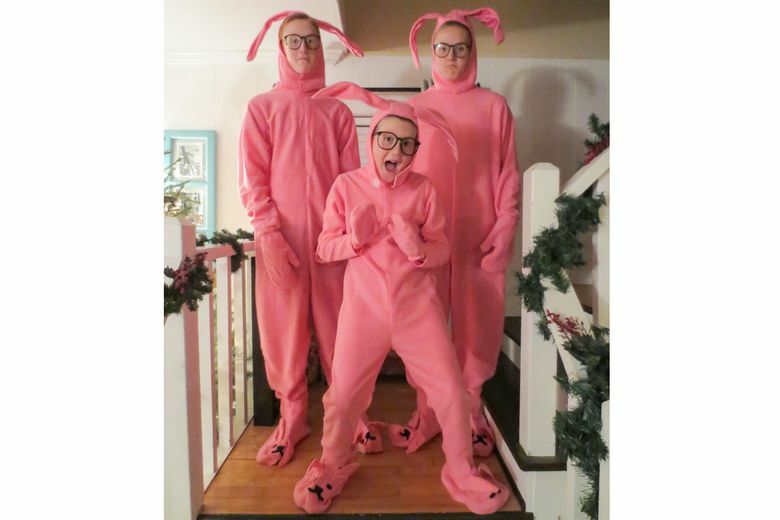 One year, she ordered the infamous bunny suit from the movie “A Christmas Story.” Another time, everyone received wearable blankets that were popularized by late-night TV commercials. Matching outfits do make for an ideal photo op, says Danielle Lucia Schaffer, a blogger at citygirlgonemom.com. 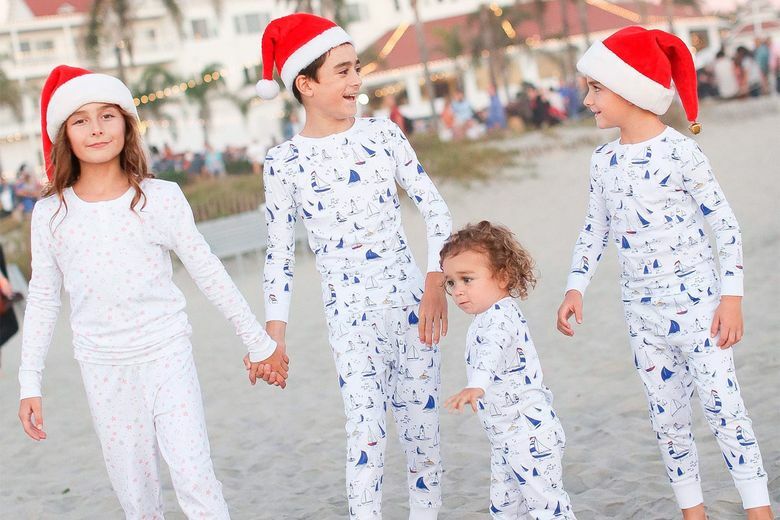 She dresses her four children in matching or coordinating pajamas every year and stages elaborate photo shoots. The kids generally like the clothing but not the photos, said Schaffer, of San Diego. In addition to wearing their matching jammies on Christmas Eve and Christmas morning, they put them on for movie nights all winter long. If kids are reluctant to don matching outfits, Schaffer recommends recruiting dad to help sell the idea. Julie Aluotto of Sharonville, Ohio, says her kids like wearing pajamas that match their cousins’. The two families, who live in different cities, took their outfits to a water park and ran around in them all weekend. Indeed, matching jammies are a bit of a “thing” at Great Wolf Lodge in Mason, Ohio, says Jason Arthur, the regional director of aquatics. Families wear them to meals and events throughout the holiday season, he says. Matching clothing is a way for families to strengthen their bonds and announce their connectedness, says Dimitris Xygalatas, an anthropology professor who studies rituals at the University of Connecticut. As families become more far-flung, dressing alike at the holidays may be a way to make the annual gatherings more fun and more over-the-top, he says. Making Hanukkah memorable was Eva Sarachan’s goal when she ordered matching sweaters for her family last year. Sarachen, who lives in Rochester, New York, and her fiancé were meeting her sister, who lives in New York City, at her parents’ house in Troy, New York. She designed her own “ugly” sweater similar to the Christmas versions commonly found at stores in December and had it printed at customizedgirl.com. Her family loved the shirts emblazoned with dreidels, menorahs and kittens, she says.